Following the work done on the Stewardship and Lake Plan, the SLCO embarked upon an ambitious project to document and publish a history of our Lake. From it's early origins to it's first settlers and the generations that followed, the goal is to produce a complete compendium of all that is known about Skeleton Lake. Led by a group of dedicated volunteers, the project is now in it's second year. The focus this year is on gathering memories and stories of prominent and noteworthy families who built the first cottages and inns around the lake. This Blog is a place to share those stories and seek input from our members with additional details, missing links and leads to where more information may be found in the community. Enjoy the stories and add your comments! 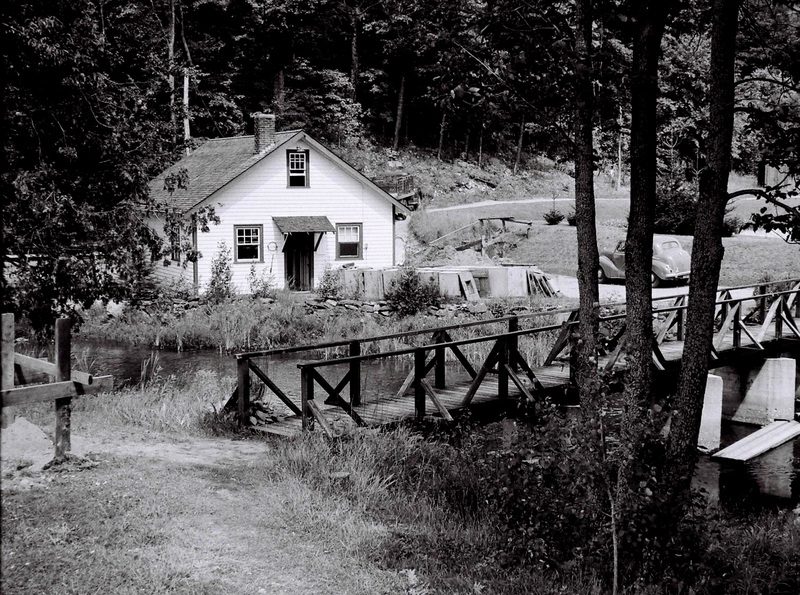 In 1938, The Ontario Department of Game and Fisheries purchased 18 acres from Joe and Sadie Danson for a fish hatchery, the parcel including the dam site where the lake empties into the Skeleton River, where the small falls would feed the rearing ponds by gravity. The sale was under threat of expropriation as the area of interest was a good part of the area used by the Danson's for their Camp Winnabagoe activities. The first phase of the hatchery was built in 1938, consisting of five rearing ponds and a jar hatchery. The dam used by Briese's was probably replaced. For 15 years, annual production was 300,000 speckles trout, 350,000 pickerel, 100,000 small mouth bass, and miscellaneous species such as muskinonge. In the late 1950’s, pickerel production was discontinued. For the first two decades, the manager was Douglas McNee assisted by Myron Bethune. 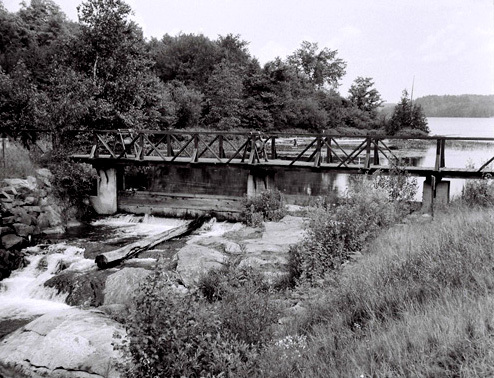 In 1950 Robert G. Creasor was appointed manager The old cement bridge over the Skeleton River was replace by a large culvert 2013.with Myron as his assistant. When Robert retired in 1971, Myron became the manager. On Myron’s retirement in 1982, Mike Bohn was manager and when he was transferred in 1984, Charlie Core became manager. Numerous local people were hired seasonally to assist in the production. The hatchery was closed in 1992 due to provincial budget cutbacks and in 1993, with local pressure led by Aubrey Goltz while he was a Director of the Twp. of Muskoka Lakes Rate Payers’ Association, the property was purchased by The Township of Muskoka Lakes as a park. 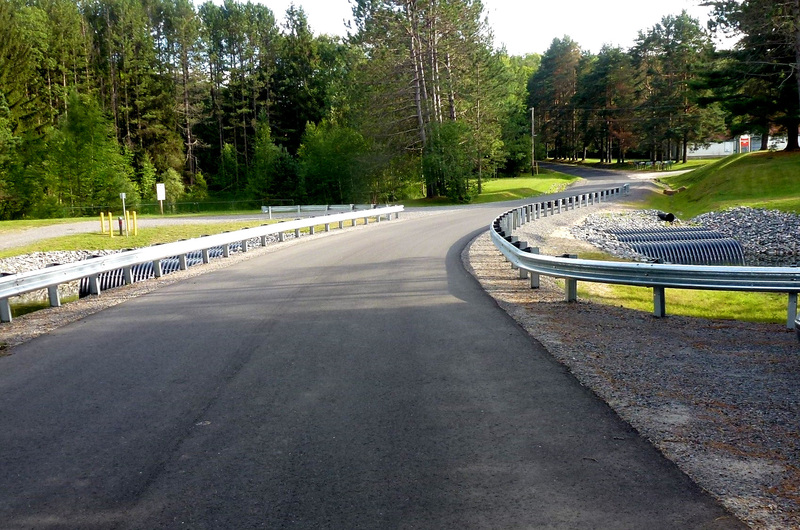 The old cement bridge over the Skeleton River was replaced by a large culvert 2013. We are looking for a photo of "Shanty Island" that shows the shanty - does anyone have one they would share? We need information about Forest Fires in the area surrounding the Lake. Island "M" is often referred to as "Burnt Island" by older cottagers. A more recent fire occurred in the Hekkla in 1999,. and old white pine stumps on the south shore indicate that a major fire ravished the area in the early twentieth century - We would really like to hear about any details you may know or have heard about concerning these or other fires. Welcome you our new blog. It will feature a selection of interesting bits of Lake history that we are uncovering as we talk to cottagers and members of the community while gathering material for the book we hope to publish sometime next year. Goal: Capture the history of the Lake from the earliest times through to the present day by searching through existing records, photos and written accounts, and by talking to living community members before we lose their stories when they move away or pass on. Status: This year we are collecting raw material that we will sort through, edit, and organize into a book, evenly split between a narrative account of the Lake's development, and illustrative material such as: maps, photos and short stories told by the people who lived them. New Posts will be published two or three times a month throughout the whole year as we discover new items of particular interest. Many of these fascinating snippets of information will be incomplete; and here you can contribute by posting a Comment, telling us of photos, maps or related stories you may know about. We will end each Post with a short list of questions that we have which relate to the published item. You can contribute by telling us anything you know, or by giving us names of people who might have the missing pieces of the puzzle. We look at this as a story about the Lake. We need your stories for it to succeed.